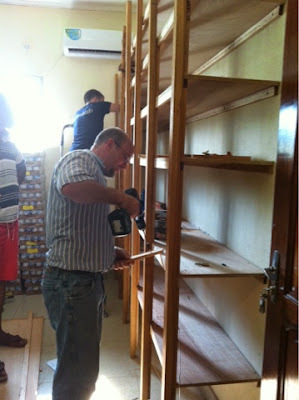 Mwana Baby Home: Carpenter family from Ohio makes us shelves! Carpenter family from Ohio makes us shelves! 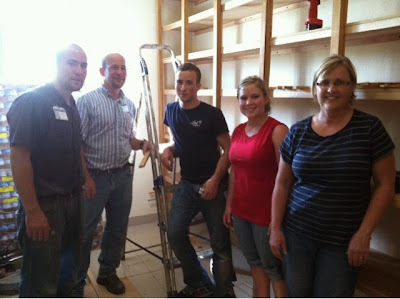 The Stull family does it again! These solid floor to ceiling shelves were made by the Stull family from Ohio while they were visiting for just a few days. How kind and generous of them! They also brought some gifts from friends in Ohio. 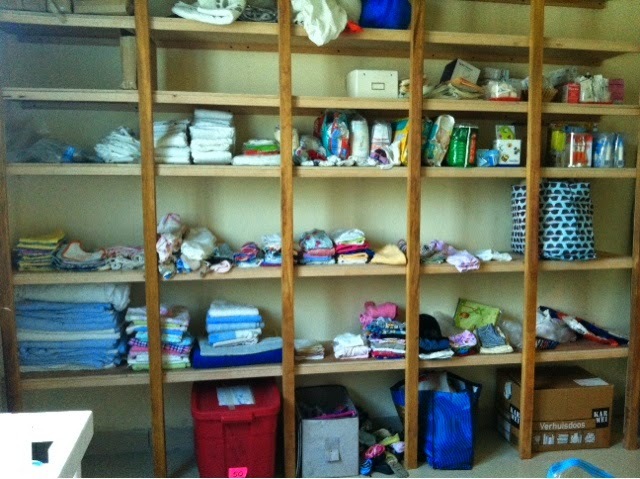 Now the shelves are stocked with all the donations of clothes, towels, diapers and more!